Twitter is a popular “micro-blogging” service that allows you to send updates via SMS, IM, the website, and Third party applications. Twitter is a good a tool for the way to connect and network with others in your industry or others who share you views. It gives an instant access to you about your latest industry news, organization, people, products, competitors or brand. Twitter provides an extended reach to your blog posts and your thoughts. Here are few tips to effectively use twitter for your business. Profile name in twitter is limited to 15 characters. 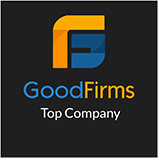 If your company name is less than 15 characters then its very much easy to secure your company name. Use your logo image as your profile picture this may allow people to identify you easily. Complete your one-line bio and include a your company URL. 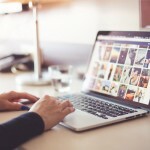 Using a custom profile page background and incorporating other recognizable elements from your main website or blog will help contribute to the the overall impression of the brand. Having a contact email or a contact phone number on your twitter profile page is another way to give your profile a more professional feel. Follow people who will be interested in what you offer. Don’t follow too many people that are not related or would not be interested in what you have. 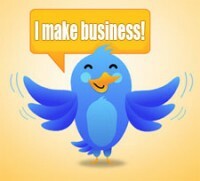 Use http://search.twitter.com/ and search the keywords of your industry and find people related to you. Make sure to take a glance on their profile before adding. Reward people who follow you or following you back by appreciating or thanking them for the option they have opted to receive your tweets. Keep Adding people to your network. When promoting a blog post, ask a question or explain what’s coming next, along with your link in Shortened URL. Retweeting what others have posted is a great way to build community. Provide a link from your website or Blog to you Twitter Profile. Avoid over promoting your product or services. This may create a negative impact on your company or brand. Don’t Post the same content again and again for the purpose of marketing. It may make followers irritated. Some companies use Twitter internally to share ideas or communicate about what projects they’re working on. If this information is confidential in nature, employees either need to protect their updates or even better, not use Twitter at all. Be careful that you tweet should not create a negative impact on yourself. Using strawpoll you can create mini polls into your twitter stream – great for flash feedback. 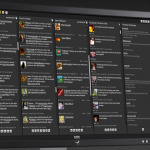 Third Party applications like Tweetdeck and Twhirl make it a lot easier to manage Twitter. 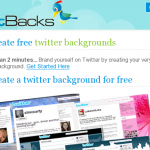 More Twitter backgrounds are available at TwitterBacks, Twitter Backgrounds Gallery and Twitbacks. TwitterFeed allows you to post your blog posts as tweets to twitter over a specified interval of time. TwitThis is a service which allows you to add buttons to your website for users to tweet your blog posts. TwitterBuzz is a website which aggregates content from twitter and shows you what users are linking to. And there are a lot more twitter related websites available on the internet and plug-ins for wordpress blogs.